Israel and the Jewish People have suffered much at the hands of “history.” However, what most people―especially politicians and world leaders―do NOT realize is that there is a “dark force” behind the causation of these degrading elements. In this teaching we will expose not only the past stratagem of Israel’s enemy … but also the present and future plots assigned to further deceive, harm and ensnare God’s Chosen People. We will also expose the stratagem of Israel’s enemy with regard to New Babylon … and the New Nimrod. Key geopolitical “overlays” will be discussed with their prophetic importance today … and in the future! Kush fathered Nimrod, who was the first powerful ruler on earth. Daniel and the three Hebrew children are examples of deliverance for G-d’s People. More particularly, Mordecai and Esther (the Jewish heroine Hadassah), through their prayers, fasting and action kept the Jews from being exterminated by Haman in 127 provinces from India to Ethiopia. However, recall the mass pillage and murders done to the Jewish People under the Roman Titus and his armies [mostly conscripts and enlistees from Islamic areas] in 70 C.E. And that’s NOT even acccounting for the genocide of six million Jews under the rule of Hitler in Nazi Germany. Satan tried many times to exterminate the Jewish People. WHY? First, because he did not want the Mashiach of Israel to be born; therefore, he attempted to destroy the seedline of the Jewish People and thereby cut off the family line from which it was prophesied that Messiah would come. Second, because after Messiah was born, Satan did / does NOT want the Mashiach to return a second time to deliver Israel from her future travail in the Time of Jacob’s Trouble and establish His Kingdom. “Who has heard such a thing? Who has seen such things? Can a nation be brought forth all at once? ▪ The enemy tried to destroy the Hebrew boys in Moses’ day under Pharaoh. ▪ The enemy tried to destroy ALL the Hebrews in Esther’s day under Haman. ▪ The enemy tried to destroy the Hebrew boys in Yeshua’s (Jesus’) day under Herod. Now let’s look at a quick historical background of the “Jews” and/or “Hebrews” and follow the evolution of the etymology of the names … and while doing that we will SEE what’s happening today … and what will happen in the future. Interestingly enough, a derivative of the word “abar” is “ibriy” which means “Hebrew” and is the ethnic description of Abraham and his seed line, who was a descendant of “Eber”―the great grandson of Noah‘s son Shem. Genesis 14:13 / Bereshith talks about “Abram the Hebrew.” Exodus 7:16 / Shemot mentions “the LORD G-d of the Hebrews.” Here “Hebrews” represents a tribe of Semites (sons of Shem). Abraham “crossed over” the Euphrates River from Haran to Canaan, the land G-d promised him. How did he do it―through OBEDIENCE! Abraham, with his wife Sarah and his nephew Lot, had originally left Ur of the Chaldees with his father, Terah, and arrived in Haran. It’s possible the LORD had wanted Terah to take the trip of faith from Haran and he may not have obeyed; possibly that is why G-d chose Abraham. With the President of USA, Donald Trump, declaring Jerusalem as [undisputed] Capital of Israel―and with observed synergistic economic prosperity of those who agree―an emotional “brain twist” will result in Islamic nations: jealousy AND attention. REFLECTION: What politicians. educators and the news media do NOT realize―rather, do NOT understand―is that President Trump of the USA is anointed by G-d to help Israel. That’s WHY in just one year the economy of the USA has surged: corporations investing in development plus training employees; unexpected bonuses to employees; corporations returning to USA from abroad; stock market soaring to new highs. Dead people do not understand life; unbelievers do not understand … nor comprehend … the anointing: what it is; why it is imparted; and from where it originates. Donald Trump―in his office of President―is anointed as much as Cyrus was who commanded the Jerusalem to be rebuilt and the foundations of the Temple to be laid. Cyrus was a pagan ruler! Isaiah refers to pagan Cyrus as “the Lord’s anointed.” (See Isaiah 44:28 – 45:7.) This prophecy―and G-d calling Cyrus by name―was 150 years before the happening! Remember, in Torah G-d promised “I will bless those who bless Israel.” [Several places in Bereshith / Genesis.] Even Middle East Islamic countries could be blessed if they were to “wake up” and work with Israel … helping Israel. THINK ABOUT IT. Don’t forget though: Ezekiel tells us that in the future Iran will―with Turkey, Russia, North East Africa and neighboring Muslim countries―attack Israel and be wiped out by G-d. Right now, Iraq plays a key piece―not only in the Middle East with the “tug of war” between Iran and the West―but in the prophetic puzzle (and the timeline) of the world. Babylon, in the land of Shinar, was the headquarters of the first world autocrat. His name was “Nimrod.” Scripture―in the original Hebrew language, and also supported by rabbis―shows that Nimrod was “a mighty hunter against―or in opposition to―the LORD.” Concerning Nimrod, See Torah, Bereshith / Genesis 10:8-9. Just as Babylon was the headquarters for the first world dictator―Nimrod―so the NEW BABYLON will be the headquarters of NEW NIMROD: the FINAL New Global Governance dictator: a despot and worse than tyrant. The New Global Governance leader will be chosen by the NWO―New World Order (or whatever name the organization ascribes to itself at that time). He will be the FALSE mashiach (messiah) and the greatest enemy that Israel and the Jewish People have ever known. Turkey will probably become the headquarters for the New Global Governance. In due time it will become obvious that it will in effect be the (clandestine) headquarters of the NIO: New Islamic Order. As the Global Governance Center, Turkey will come into position―may break away from its previous European and western associations―and, as the Eastern leg of the old Roman Empire, it will be the epicenter of Islamic geopolitical and financial concourse, fostering the development of New Babylon: international commercial, political and religious centre of the world. New Babylon will work in alignment―for a season―with the New Global Governance leader: the FALSE Messiah. New Babylon will later be destroyed by a confederacy of Ten Regional Leaders―who actually support her development at first―and who align themselves with the dictates of the New Governance Leader: the FALSE Messiah. TAKE AWAY: Israel’s leaders must pray for discernment and insight in the coming commercial, geopolitical and religious shifts. Watch Turkey, watch the UN and its evolution / transition into the New World Governance … and watch for the New Nimrod: a man of “supposed” peace who will appear on the world stage. This New Nimrod will broker a seven year peace agreement―a covenant just like Daniel prophesied―and in the middle of the seven years, he (the False Mashiach) will go into the newly built Temple of the Jews and declare that he is G-d: the overspreading of abomination just like Daniel prophesied (and an anti-type of Antiochus IV Epiphanes who desecrated the Temple around 167 BCE). Antiochus Epiphanes is a tyrannical figure in Jewish history, and he is also a foreshadowing of the coming Antichrist. The prophet Daniel predicts an atrocity in the temple in the end times (Daniel 9:27; 11:31; 12:11.) prophecy concerning a coming ruler who will cause the offerings to cease in the temple and set up “an abomination that causes desolation.” What Antiochus IV did certainly qualifies as an abomination; however, Messiah Yeshua (Jesus) speaks of Daniel’s prophecy as having a still-future fulfillment. (See Brit Chadashah: Matthew 24:15-16; Mark 13:14; Luke 21:20-21). The False Mashiach (Antichrist)―the New Nimrod―will model Antiochus Ephiphanes in his great pride, blasphemous actions, and hatred of the Jews. After this―in the remaining 42 months of the seven year covenant―will be the Time of Jacob’s Trouble (Jeremiah 30:6-7) … the worst time for the Jewish People (and the believing Gentiles) … they have ever known: mega-worse than the Nazi Holocaust under Nazi Germany. But Israel shall be saved out of it! 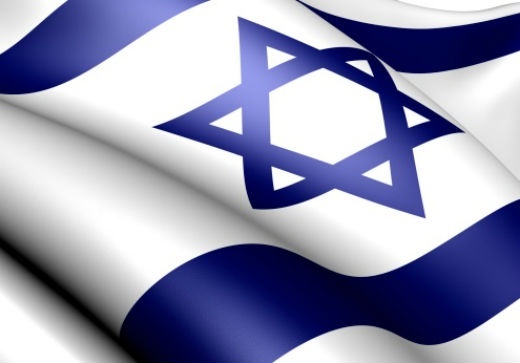 With Israel’s great prosperity and ascendancy through technology, natural resources and humanitarian efforts―with the wealth of the goyim (nations) coming into her―will come great persecution―again―that will result in the the combined armed forces of the New Global Governance PLUS the Islamic enemies of Israel against Jerusalem. THEN … In a nanosecond the REAL Mashiach (Messiah) will come from Heaven to the Mount of Olives and bring the FINAL deliverance and victory to believing Jews in Israel. Be ready … put your faith in Him. You can know the Mashiach TODAY … and make sure you do, before the real birth pains come to pass from travail in the Time of Jacob’s Trouble. Podcast time: 18 minutes, 57 seconds. The Shias in Iran―unkike Sunni Muslims―believe their Mahdi will appear when allah decrees it (not by causing worldwide destruction first―the Sunni belief―as an invitation). And, the Shia “Twelvers” believe the end time conflict will be delayed until the return of their Mahdi: the Twelfth Imam. Since 3,000 years ago the Tabernacle of God was in Jerusalem―and knowing that Satan did NOT invent Islam until 1,700 years later (Psalm 76:2 תהילים)―the “power players” in Israel have a clean shot for the goal. So … what is the goal? And, how diligently should Israel work toward it? The goal for Israel is to move forward as the representative nation of G-d on Planet Earth … and to work in alignment with Holy Scripture (the Tanakh) so that MIRACLES and the blessing of G-d Almighty will superintend Israel’s progress, protection and position. Longevity of Citizenry with Increased Population. It is the purpose of this teaching to develop the first: Economic Administration. To properly administer any sector of humanitarian concourse of the marketplace, an objective “real time” observation must be made of the resultant polar extremes of sector individuals versus global interactions. Plus, a projected futurist view of “what if” options. What will be the results―the effect of economic decisions―upon the government’s citizenry (in this case, Israelis) … and specific Global partners: extra-national entities. Accoridng to the Prophets, in the final battle with the False Mashiach (the anti-christ) the LORD will provide a MIRACLE win. But before that time … RIGHT NOW … the enemy of Israel, Satan, does NOT want Israel controlling the Middle East: either militarily or economically. Like a woman who is carrying a child in her womb with a prophetic promise, Israel has to maintain and care for the life of the child before it is born as a nation in a day (see Tanakh: Isaiah 66:7-9). And so, to protect herself, Israel MUST maintain her place in destiny. Israel MUST take advantage of every relationship G-d provides for her advantage. Israel has a NEW friend: Donald J. Trump, President of the USA. Israel―as long as it obeys the Scriptural mandates dictated by the LORD G-d―will have Divine Direction. Implore the USA to make Jerusalem the home of the USA Embassy. Develop technological partnerships with the USA (both R&D and marketing). Israel will be helping the USA and President Trump will respond in other beneficence. Make settlers PART of Israel with equal and just rights as Israelis should have. Undo any Globalist ties (including UNESCO) that are NOT beneficial to Israel. God does NOT need help. See my report, G-d, Geopolitics and Gold dated March 1, 2016. As a matter of fact, G-d likes it when He gets the credit. The fall of Babylon wil be synonymous with the fall of the Global Financial Sysytem. We know from archaeological findings (financial transcripts and recordations) that the ancient Babylonians (2,000 B.C.) invented mutual funds and mortgages. for more detailed information on New Babylon. To pave the way for the false Mashiach (anti-Christ) system of New Global Currency, citizens will be prepared―and want―anything to help them in the future. However, in the paragraph of time BEFORE―the interval before S-H-T-F―the Time of Jacob’s Trouble (The Great Tribulation), even Israel’s enemies will want to do business with her. Israel is about to be BLESSED abundantly! And … the USA will be BLESSED for joining in her fight. Do NOT look for a “Ten Region Confederacy” arising from the EU, but rather a “Ten Region Islamic Confederacy”―the New Islamic Order (NIO)―with its hub in Turkey. New Babylon will likelly be a seaport city in Turkey. But why do we seemingly digress here … and WHY does Israel have to know this? Because Israel has to divest herself of any Global ties that will rob her of the blessings of Almighty G-d. Remember … G-d wants to receive the glory. The final phase of globalism―the collapse of global commerce―will NOT be caused by either natural or catalytic forces. It will be the result―the effect―of the wrath of Almighty G-d. See The Revelation, Chapter 18. Israel is at the orifice of her greatest opportunities BEFORE the Time of Jacob’s Trouble (Tanakh: Jeremiah 30:4-7). Israel should be cognizant―and be forewarned―that occasional “populist” uprisings, such as in BREXIT and USA recent elections, are only “temporary blockades” to New Global Governance and Commerce. Israel working with the USA while she can―and staying aloof from the UN and Global Economic Initiatives―can reap her greatest economic rewards since the days of King Solomon. Prime Minister Netanyahu, it’s time to step up to the plate which G-d has prepared for YOU … and for Israel. Work with―and request from―President Trump the items listed in Israel’s Unique Door listed above. Make hay while the sun shines! elect position precisely for such a time as this.